Congrats Thomas Sabo contest WINNERS!!! All of you sent such beautiful, heart-warming entries, but these two really tugged at my heart strings. 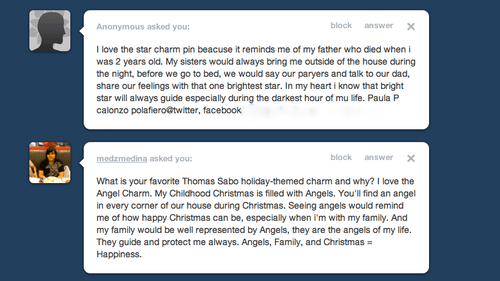 Congratulations Paula P. Calonzo and Medz Medina for winning Thomas Sabo gift certificates worth P2000! Please wait for Thomas Sabo to contact you! Thank you all so much for joining this contest. My Belo Baby bonding moment: Bath time!